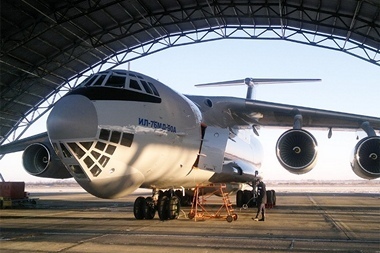 The IL-76MD-90A cargo aircraft that some sources believe is in the running for the SAAF's heavy lift capability is a modernised version of the IL-76MD which itself is based on the IL-76 cargo aircraft platform. The 90A differs from its predecessors by having redesigned wing sections and a new cockpit with modern avionics. It is in the cockpit where most of the modernisation has taken place. 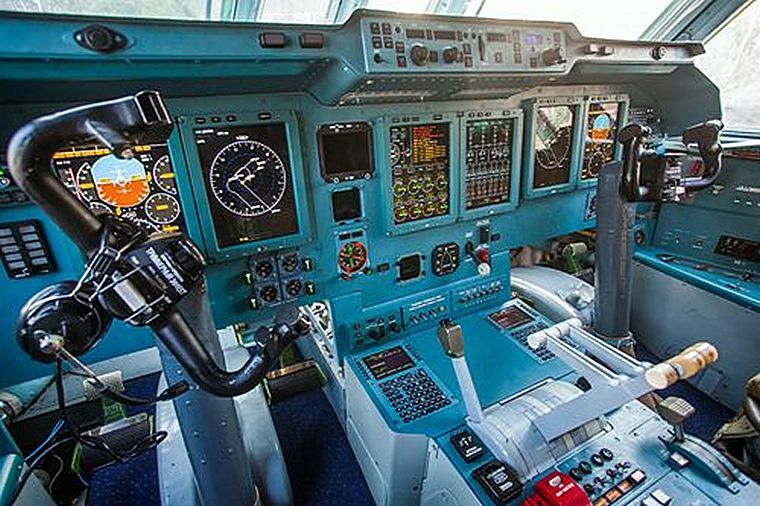 The advanced glass cockpit of the IL-76MD-90A consist of three intelligent control panels and a KSEIS-KN-76 aircraft status master monitor display system with eight multifunctional liquid crystal displays. All the systems integrate seamlessly with the digital ACS-76 auto flight control system and a new Kupol-III-76M flight sight navigation system. Powered by four fourth generation PS-90A-76 turbofan bypass engines with 4:4 bypass ratios the new MD-90A consumes 12% less fuel and offers an increased flight range of 18% more than the old 76MD. Each engine develops a maximum continuous thrust of 14,500kgf and is compliant with latest ICAO requirements for noise and emission levels. An Auxiliary Power Unit (APU) TA-12A is installed on board the aircraft. 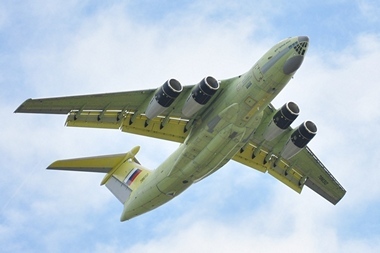 Ilyushin developed the IL-76MD-90A to be a versatile multipurpose military transporter. The cargo cabin is designed with a length of 24.5m (with ramp), width of 3.45m, and height of 3.4m. The interior volume of 321m³ offers sufficient space to carry a range of military equipment, pallets, armed personnel, heavy and long size vehicles and cargo up to 52 tons. In para-drop configuration the Il-76MD-90A can accommodate 126 parachutists or 145 troops in single deck arrangement and 225 troops in double-deck arrangement. The ADS (Aerial-Delivery System) installed on-board the MS-90A makes the dropping of parachutists possible from an altitude of 8,000m at 220km/h to 400km/h speeds. It also enables equipment dropping with the help of parachutes from altitudes of 300m to 4,000m at 260km/h to 400km/h speeds. As an air ambulance with specialised medical equipment installed 114 injured patients can be accommodated. Whilst the cargo dropping system ensures the dropping of platforms laden with shipments and equipment the under-ladder devices, roller ways and winches in the cabin facilitates the loading of cargo and equipment into the aircraft. The Il-76MD-90A is designed for a service life of 30 years or 30,000 flying hours can cruise at 820-850km/h at a maximum altitude of 12,000m. Maximum range is 8,500km. Take off distance from paved runways is 1,700m whilst maximum take-of weight is 210 ton. Manufactured at the Aviastar-SP production facility in Ulyanovsk the MD-90A had its first flight in January 2013. 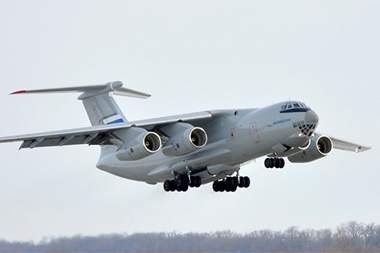 The Russian Ministry of Defence (MoD) has ordered 39 IL-76MD-90A in October 2012. Deliveries were scheduled to commence in 2014. 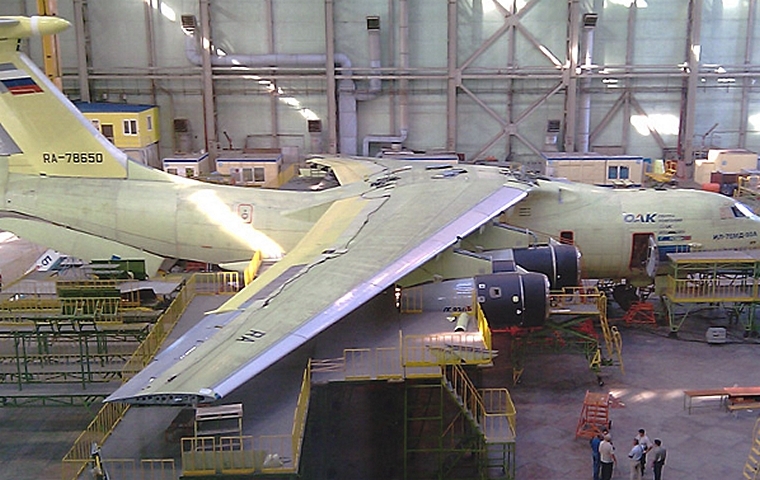 Detractors of the Ilyushin sight the fact that it is based on old technology. The Boeing C-17 which the SAAF in any case can't afford is now almost 25 years old whilst the new Super Hercules, although drastically re-engineered, is still based on the C-130. The old Ilyushin IL-76MD had its first flight in 1971. The only new kids on the block are the Embraer KC-390 and the Airbus A400M of which the SAAF had eight on order before, most will agree foolishly decided to cancel the order. Considering South Africa's joined missile development program with the Brazilians and the BRICS partnership the KC-390, with a payload of 23.6 tons (52,029 lb) should not be discounted as a competitor in the medium lift category. In this category it competes with the C-130 with a payload of 20 tons. 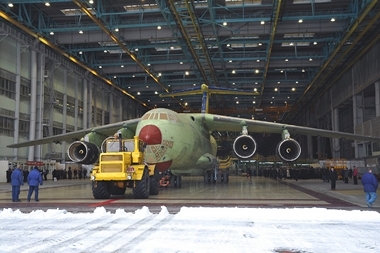 In the "heavy lift" category there are only two contenders; the 44 ton Airbus and the 52 ton Ilyushin. Besides payload the next most important factor is range and again the Ilyushin has almost twice the range of the Airbus. In the African context the Airbus has the edge as it is able to land and take-off from semi prepared runways whilst the Ilyushin needs paved runways. The program to acquire medium and heavy lifters has been ongoing for years. The SAAF with its ever increasing responsibilities in peacekeeping missions and sadly neglected maritime patrol duties are desperately in need of reliable modern aircraft to fulfil its transport and patrol duties. Whilst acknowledging that the SAAF's transport and maritime fleet needs to be urgently addressed, Government seems to be in hurry to address the problem.